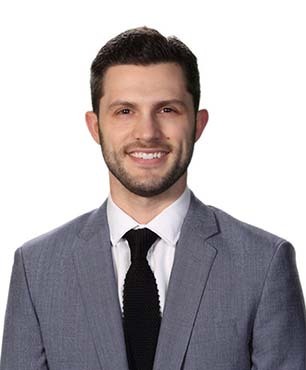 Dr. Andrew Luccio hails from the South Shore and currently resides in South Boston. 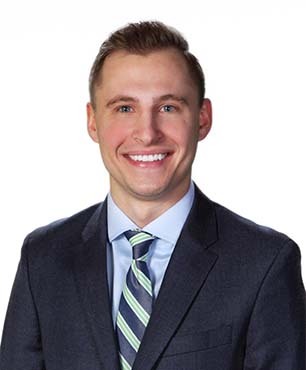 With a bachelor of science degree in biology from the University of Richmond and his Doctor of Dental Medicine degree from Tufts University School of Dental Medicine in Boston, Dr. Luccio benefits from extensive formal education and training in comprehensive dentistry. Dr. Trinh Vo is a general dentist and native to the city of Attleboro. A graduate of local Attleboro High School, Dr. Vo completed her Bachelor of Science degree in Biology at Providence College. She achieved her Doctor of Dental Medicine degree from Boston University School of Dental Medicine. Ensuring that Capron Park Dental patients have access to the best dental care that is both financially flexible and comfortable for each of our patients is the chief concern of our Financial Coordinator. The skills and expertise Jessica collected from her formal training at the Community College of Rhode Island pairs perfectly with her enthusiasm for making sure that our patients get the care they deserve and it shows in the interactions she has with the patients of the office. Jessica is the first to tell you that these interactions and relationships with patients are what she enjoys most about her job. 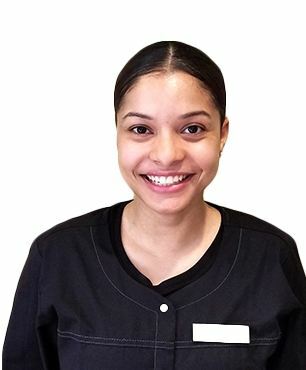 Aside from financial arrangements, Jessica is also tasked with a number of responsibilities that ensure the smooth and timely operation of the office, something the team calls an integral component of creating that comfortable and inviting atmosphere the patients of Capron Park Dental have come to love and expect. Jessica calls her three children the center of her universe...a very busy universe, particularly with their various sports-related activities each are involved in. Some interests and hobbies of Jessica’s include spending time at the beach, yoga, and biking. 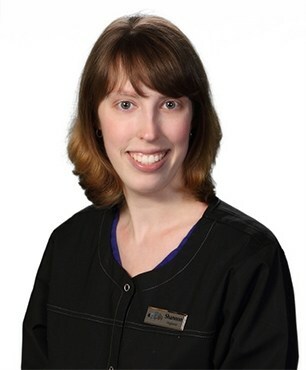 Dacia primarily serves as the Insurance Coordinator for Capron Park Dental but is also a skilled dental assistant. Dacia has been in the dental industry for over 9 years and has been at Capron Park Dental (previously Nelson Family Dental) for 6 years. Dacia, a Seekonk native and current resident, attended Seekonk High School before enrolling at Bristol Community College where she studied accounting. Soon after, Dacia attended the Penn Foster School where she earned her Dental Assisting Certificate and became a Registered Dental Assistant. At Capron Park Dental, Dacia helps each patient plan ahead for their dental care and ultimately achieve the oral health and beautiful smile they desire and deserve. To make this happen, Dacia draws on her wealth of dental knowledge and experience while ensuring that she is staying on top of the latest developments in the industry through extensive continuing education. Outside of the office, Dacia stays very active, particularly with her young daughter, Teagan. Camping, boating, and time at the beach are just a few of the things you will find Dacia enjoying with friends and family on a regular basis. 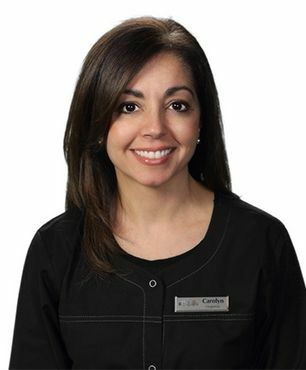 Capron Park Dental is proud to call Carlene a member of our our highly experienced clinical team. 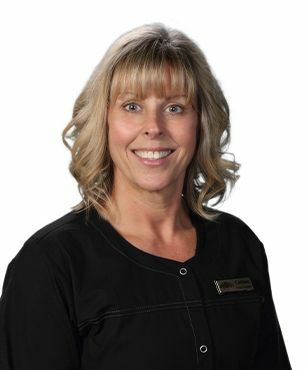 With almost 20 years of dental assisting experience, 12 of which have been right here, Carlene has an abundance of experience and a wealth of knowledge acquired from formal training and extensive continuing education in all facets of clinical dentistry from infection control to laser dentistry and so much more. A graduate of Attleboro High School, Carlene completed her formal dental assistant training locally at Bristol Community College where she became a Registered Dental Assistant upon completion. Capron Park Dental patients take comfort in knowing that our team brings a great deal of expertise to the table to make sure that their experience is first class in every aspect and Carlene plays a critical role in making that happen. When Carlene is asked what she likes most about her job, she cites the interactions with patients as being her favorite and it shows in the way people light up when they see and speak with her. Carlene certainly enjoys life outside of the office. She is married to her husband Dennis and has two children. Aside from spending time with friends and family, staying fit and active is a priority for Carlene with running, biking and camping being some of her favorite activities. Carlene is an inspiration to us all at the office when it comes to being healthy. In fact, in merely a year’s time, Carlene has lost 70 lbs! She cites an overall healthy lifestyle as the reason she has kept it off. The experienced clinical team at Capron Park Dental is lucky to have Carolyn as one of our Registered Dental Hygienists, as she brings almost 30 years of experience to the practice, 11 of which have been right here. A native of East Freetown, MA, Carolyn attended Apponequet Regional High School and graduated from hygiene school at Bristol Community College. Through this education and countless hours of continuing education over the years, Carolyn is able to provide unmatched care to each patient she sees. However, one only needs to ask her patients to know that what makes a visit with Carolyn truly special. They will tell you, it is her genuine care for her patients’ well-being that keep them coming back. Carolyn would be the first to tell you that the relationships she has built with patients over the years is what she values most. Outside of the office, Carolyn loves to spend time with her family. She is married to her husband Mike and has a daughter Jillian and two stepchildren, Hannah and William. Her children certainly keep her busy and one of the many hats she wears is that of ‘Softball Mom’. Shannon is a member of our highly experienced dental hygiene team and our patients are certainly better off for it. A graduate of Providence College, Shannon went on to earn hear hygiene degree from Bristol Community College. What’s more, Shannon also completed additional training to obtain her Local Anesthesia Permit. 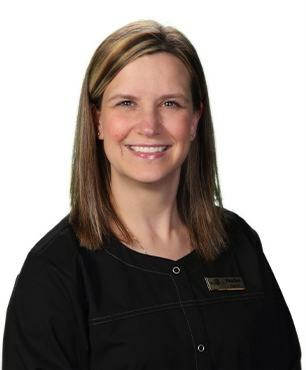 This training, along with the extensive continuing education she has completed over the years, ensures that patients of Capron Park Dental are receiving the best care possible. Equally important, Shannon’s high regard for a calm, relaxing environment for each of her patients ensures that even those with a history of dental anxiety are not at all threatened when visiting the office. Shannon enjoys a number of activities outside of work and they include cross stitching, reading, and spending time with friends and family. While Shannon’s husband Nick (and their 2 cats) would say that she has a soft side, be warned, Shannon has earned her 3rd degree black belt in Kenpo Karate! Heather is yet another valued member of our hygiene team. As a Registered Dental Hygienist with over 25 years of experience, patients of Capron Park Dental take comfort in knowing that they are seeing a clinician that is both highly experienced and educated. A native of North Attleboro, Heather attended North Attleboro High School before going on to earn a degree from Northeastern University. Following graduation, Heather went on to obtain her hygiene degree from the Forsyth School for Dental Hygiene. Since completing her formal training, Heather has made it a priority to consistently and frequently complete extensive continuing education so that her patients are getting the most advanced and up-to-date treatment possible. Outside of dentistry, Heather spends much of her free time with her husband and two children, all of whom lead active lifestyles themselves, with her son in soccer and her daughter in cheer. Heather is also a dog lover and, interestingly enough, has adopted two from Thailand! Christina has been a valuable addition to our team serving as the office’s Scheduling Coordinator. Ensuring timely and convenient service to our patients is a top priority at Capron Park Dental and Christina is integral in making that happen. 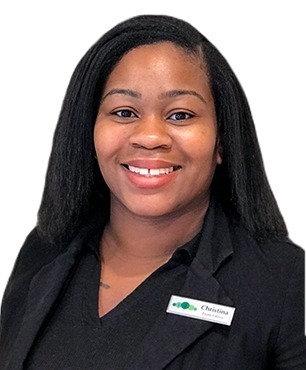 Like each of our team members, Christina draws on a wealth of experience and knowledge that she has acquired both in and out of the dental industry after completing her training in business and dental assisting at Providence College and the Concorde Career Institute. Christina will tell you that she understands firsthand the importance oral health plays in a person’s life but that, for many, it is perceived as uncomfortable, expensive, and an anxiety-ridden experience. Christina’s strong communication skills and relaxed personality help break down those misconceptions and allow visits to our office to be something our patients actually look forward too. Outside of work, Christina enjoys a life filled with family and taking care of her children. When she does have down time, singing and writing are two creative outlets that she draws upon to clear her mind and relax. In fact, her signing skills provide more than just a stress release--her made up songs help her children with their homework! While Cheryl may be a recent addition to the team at Capron Park Dental, describing her as anything but a veteran expert in the field of dentistry would be doing her a disservice. Cheryl is a highly trained registered dental hygienist with an impressive educational background, having attended the Massachusetts College of Pharmacy and Health Science as well as the prestigious Forsyth School of Dental Hygiene. 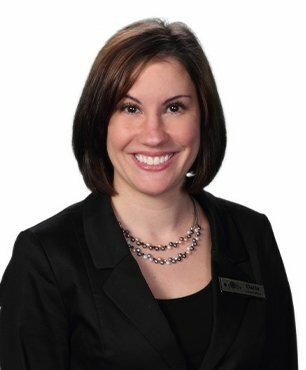 Like each of our hygienists, Cheryl will tell you that educating her patients on all matter regarding oral health is what she enjoys most about her job, along with the relationships that are built with her patients through that process. Further, Cheryl stays abreast of the latest developments in the field through the relentless pursuit of continuing education experiences, having completed hundreds of hours of continuing education on a wide array of oral health topics. Rest assured, your hygiene visits at Capron Park Dental will have you receiving the latest insights on the rapidly developing, evidence-based science and technology that is positively transforming our industry. As you get to know Cheryl, you will learn that she and her husband are the proud parents to a beautiful daughter as well as pet owners, having both a dog and cat. As if work and family life didn’t keep her busy enough, Cheryl enjoys time at the beach, paddleboarding, vacationing, and St. Louis Cardinal baseball! Experience and a commitment to advanced training are two of the core principles that our team is built upon. Virgen is yet another team member that we are happy to say embodies both. A Providence, RI native, Virgen set her sights on a career in dentistry early on in her life and attended Lincoln Technical Institute where she acquired her Certificate in Dental Assisting (CDA). Since that time, Virgen has made it her mission to continuously advance her skills and experience so that she can provide a first-class experience at each and every visit. Aside from her superb dental assisting skills, Virgen’s positive, upbeat demeanor is contagious. At your next visit, you can count on seeing her smile and leaving with one of your own. When Virgen is out of the office, you will find her spending time with friends and family. And recently, Virgen welcomed into this world her first child and you can tell that she is enjoying every minute of motherhood.